The new Bhojpuri star and Junior Nirahua Pravesh Lal Yadav will be seen as a “Dabang” in his forthcoming album going to release before Holi – the Hindu festival of colors. The song was shot recently a the Russian Villa in Mumbai. 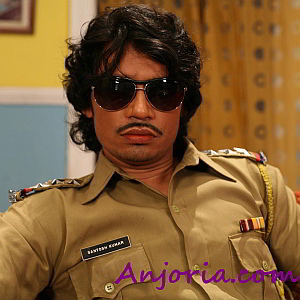 Pravesh was in “Dabang” look just like the original Salman but he wont show his “Dabangai” for action and fights but will use his Dabangai to color his Bhabhis in Holi. Hope the viewers like this new color of Pravesh.